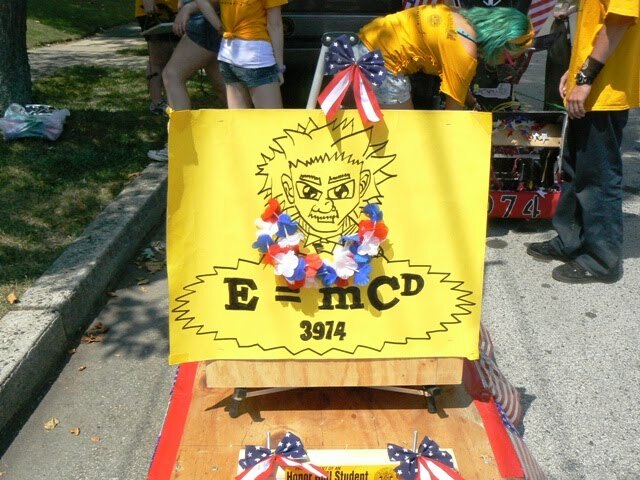 Here is an update from E=mCD, the McDevitt Robotics team. 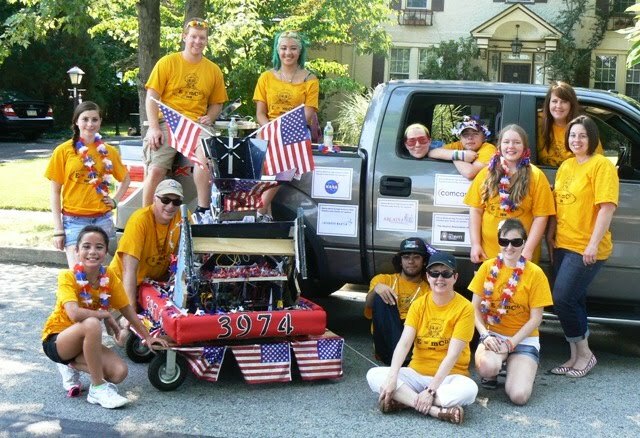 Here is a picture of us relaxing with our robot, Shark Byte, while we wait for the parade to start. We were near the end of the parade and had a long wait. Luckily our wait position was in the shade as the temperature reached the upper 90s. The parade was quite long and was viewed a very large crowd. There were lots of starts and stops. During the stops we meet and chatted with lots of McDevitt Alumni. The drivers sat in the back of a pickup truck and drove the robot by remote control. Here we are going down Easton Rd. heading for the judges station. We had a few problems. We lost a chain, crashed the PC, burned thru the batteries very fast. Even so, when we passed the judges, Shark Byte look great. The crowd loved seeing Shark Byte shoot off basketballs. The Kids loved catching them. We made sure everyone knew who we were by showing our image and our sponsor logos on the side of the truck. The team agreed we should do this again next year. 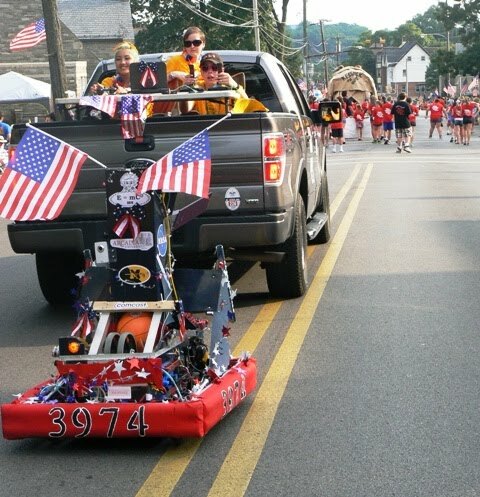 We are even considering building a special parade robot and asking other teams to join us.